A seemingly typical Italian piazza backed by the Dolomites in Fiè allo Sciliar. The Dolomites are like no place you’ve ever been. For one thing, though you’re in Italy, the predominant language is German, and the culture is equally distinctive. 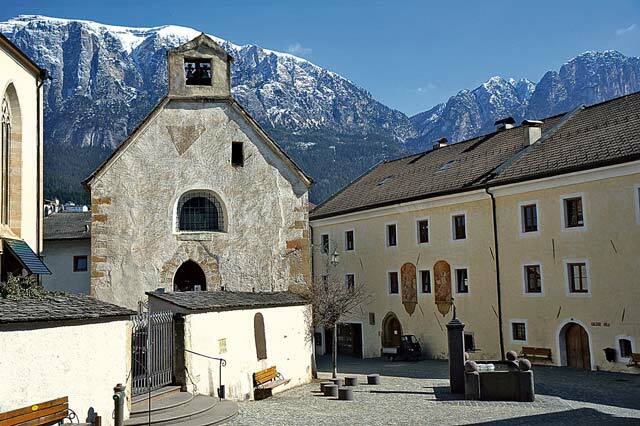 You are also in a top alpine ski destination (over the last several years, the insurance company ADAC has named Alpe di Siusi one of Europe’s best family ski areas), but you won’t find any of the attitude lurking at more familiar locations. Thirdly, the surrounding peaks, a UNESCO World Heritage site once described by architect Le Corbusier as “the most beautiful natural architecture worldwide,” glow pink at sunset due to unusual geology; they were formed from ancient coral reefs that were hoisted from the sea into the heavens by the violent clash of continents that created the Alps. We were lured to the Dolomites not only by these unique qualities but by the Dolomiti Superski pass, which covers a whopping 12 resorts, 450 lifts and 1,200 kilometers of trails, including the Sella Ronda, a daylong unbroken loop; the World Cup venue Val Gardena; and the world’s highest alpine pasture, the breathtaking Alpe di Siusi, whose gentle slopes are a beginner and intermediate dream come true. Because of this, it seemed impossible that I was lingering in a tiny, wooden hut, enjoying the company of new friends while my lonely skis and poles waited in the powdery snow outside. Maybe the altitude and that glass of La Graine, a local red wine, was getting to my head. The sheer cliffs of the Dolomites turn pink at sunset. The high elevation is responsible for more than a diminishing alcohol tolerance; it also provides a long ski season (ending April 7 this year, with limited lift operation through April 14). Multiple child-friendly areas near Alpe di Siusi ensure fun for all ages throughout the duration (Look for ski obstacle courses with tunnels and cartoon characters, free sledding runs up to 4.7 kilometers long, music, and a DJ who shouts encouragement to each child by name as they ski past. “Brava, Maria Valentina! Brava!”). Non-skiers in the group can take advantage of hiking, snow shoeing, rock climbing, ice skating, sledding, horse-drawn carriage rides, mountain tours of the nature park, alpine herb farm tours, spa treatments, visits to castles and churches, plus wine tasting and culinary experiences. The most quintessential of culinary experiences — the one responsible for my reticence to get back on the slopes — is dining in a mountain hut. Not only are they quaint venues with rustic interiors and limited seating, but they are known for the farm-to-table freshness of their menus. The polenta was creamier and the meat tastier than seemed possible. There were delicate mountain herbs in the seasoning that I’ve never tasted before. I can’t wait to taste them again. I lingered over dessert, an airy profiterole filled with buttermilk mousse and sprinkled with dried wildflower petals. If I were in Switzerland, Austria or even France, maybe I would feel compelled to get back on my skis and make the most out of the remaining afternoon. But after all, this is Italy. There are few English-speaking visitors to this area, and while most people speak some English, be smart and bring an offline translator or pocket dictionary. We flew to Innsbruck, rented a car and drove 1.5 hours south (tolls, €14). Alternate airports are Bolzano, Verona and Venice. Inexpensive bus transfers are available during high season, or you can take the train to Bolzano, followed by bus or private transfer. 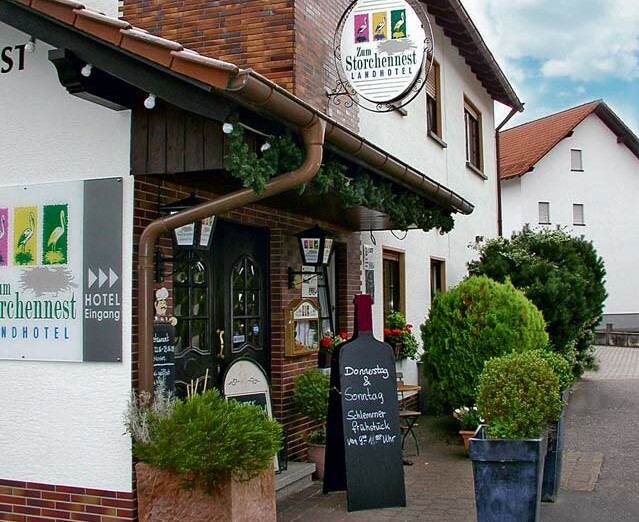 Mountain huts like the Gostner Schwaige offer the best dining. Families will like Ortisei (St. Ulrich in German), which bustles with shops, child ski schools (where the DJ mentioned above is located) and a gondola lift direct to Alpe di Siusi. 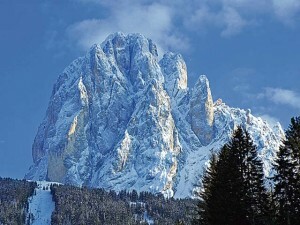 Serious skiers will prefer a base further up the Val Gardena in S. Cristina/St. Christina, with access to the Sella Ronda. Couples and foodies will enjoy sleepy-but-stylish Fiè allo Sciliar/Völs am Schlern (a five-minute drive to the Alpe di Siusi gondola in Siusi allo Sciliar). 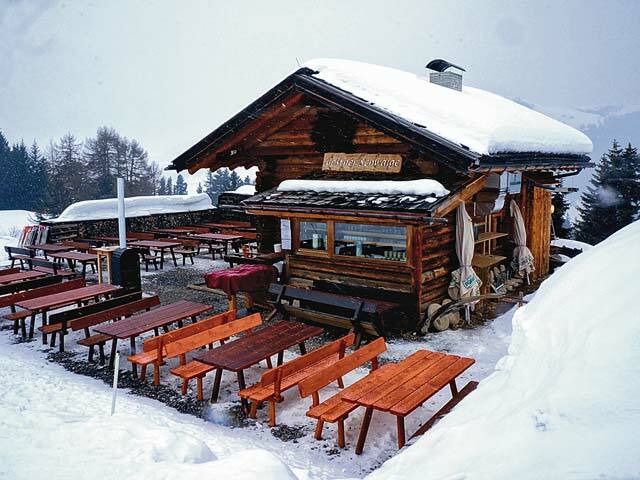 It’s also possible to stay within Alpe di Siusi for ski-in ski-out ease. Author Jenna Harrison shares her favorite destinations at www.FollowBenandJenna.com.